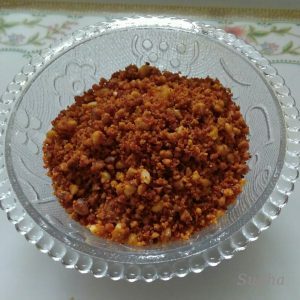 Shengdana Chutney from Sholapur is very famous. This one is very similar to that chutney with my variation. Extremely easy to make and makes very tasty chutney. 3. 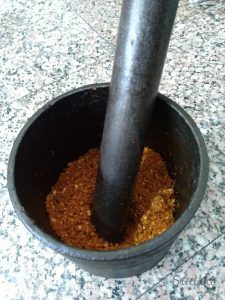 In a grinder, grind red chillies first to make a coarse powder. 4. 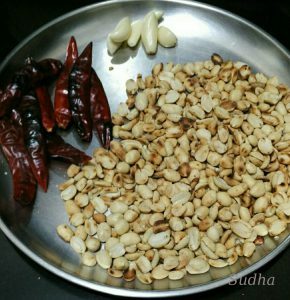 Add Peanuts, salt and grind together into a powder. Use grinder in Pulse mode for a few seconds at a time and keep repeating the process till you get required texture. 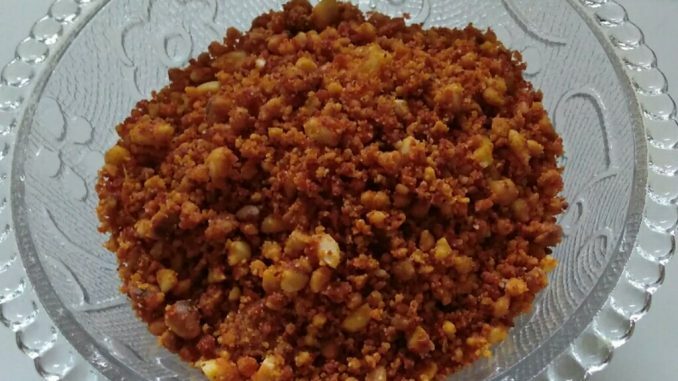 If you grind for long, chutney will become oily. 5. Add Garlic, amchoor and sugar and grind for a few seconds. 6. Chutney is ready. Serve it with any Chilla, Ghavan, Bhakri or roti. This chutney will last for a month without refrigeration. Note: Add a few Kashmiri chillies to get nice red colour chutney. 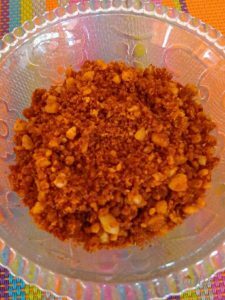 You can also use a combination of Kashmiri chillies and red chilly powder if you want. 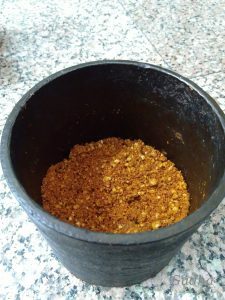 Add Red chilly powder along with other ingredients mentioned in step 5 in the grinder. For best texture of the chutney, use mortar and pestle for grinding. I generally use this method. The nice coarse texture that you see in the photo is because of that.